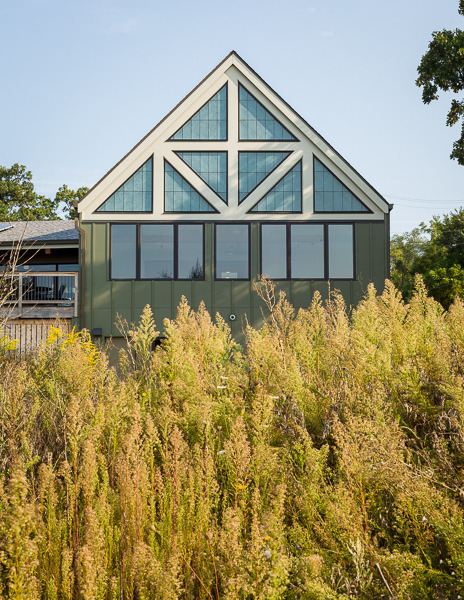 A former private golf course transitions into a second life as a sustainable, public amenity. Farr Associates worked with the Forest Preserve District of Cook County in Elgin, Illinois, to master plan the redevelopment of a former private golf course into a new Forest Preserve site called Rolling Knolls that includes new, publicly-accessible outdoor programming– disc golf, archery, sledding, and nature trails. 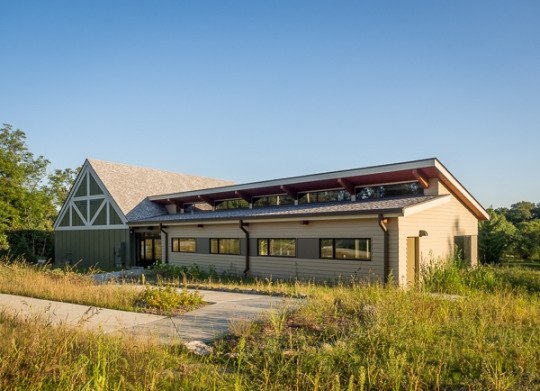 As part of this masterplan, the former golf course clubhouse was renovated with a new addition into a Welcome Center and event space for the site. 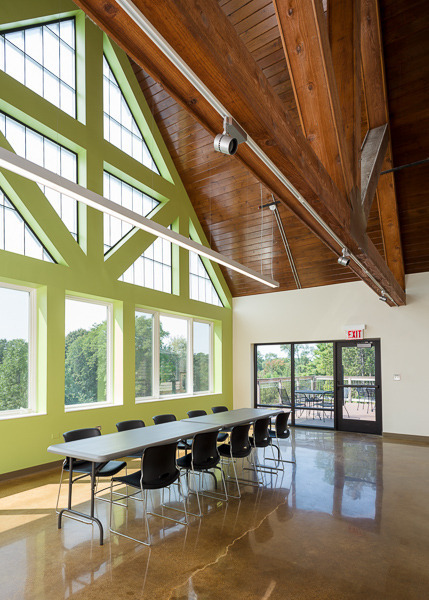 The portion of the building which remained houses new public restrooms, a multi-use space, as well as new high-performance MEP equipment for the entire building. 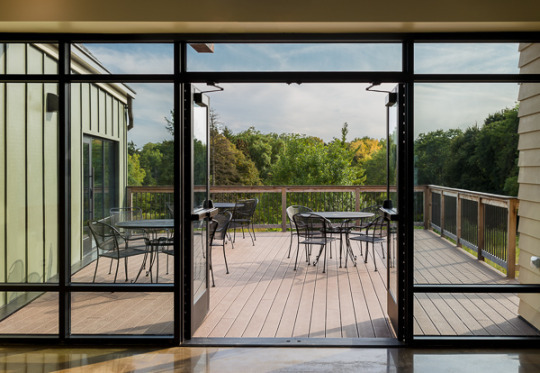 The new addition provides space for educational and social events and takes advantage of the building’s spectacular views into the Forest Preserve. 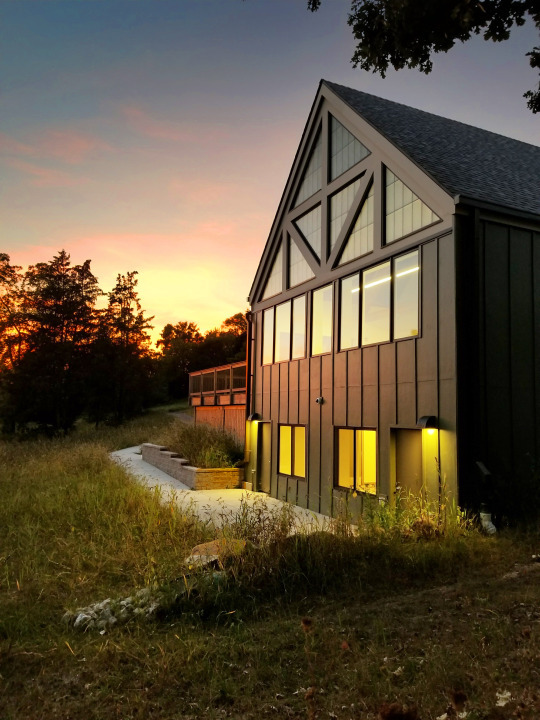 To reduce the project’s impervious footprint, the existing parking lot was demolished, re-graded, and replaced with a smaller lot and ‘decompression zone’ access path leading to the building, which aids in stormwater infiltration onsite. Finally, the project utilized Illinois Clean Energy Communities Foundation (ICECF) grant funding to install geothermal and PV systems. The systems’ operations will be studied and serve as a demonstration for future Forest Preserve District projects. 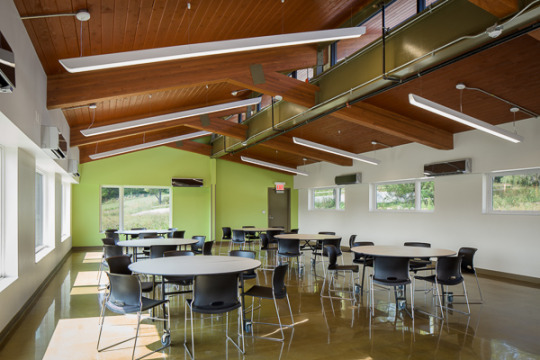 To learn more about the programs available at Rolling Knolls, or to schedule an event in the space, visit it’s Cook County Forest Preserves website at: http://fpdcc.com/rolling-knolls/.